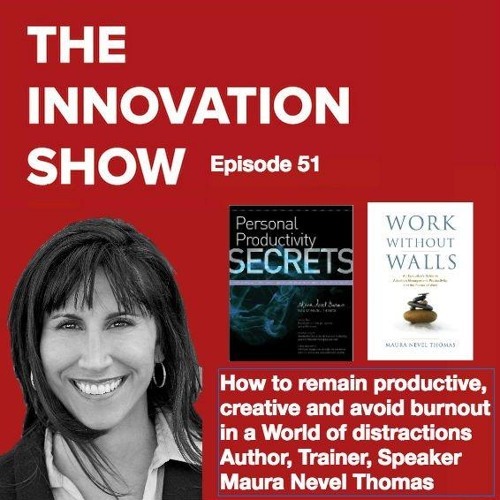 Maura Nevel Thomas is an expert on the topics of productivity, attention management, and work-life balance. She is a speaker, trainer, and author of Work Without Walls and Personal Productivity Secrets. You can find out more about Maura here&nbsp;maurathomas.com. We talk about our waning attention spans, how we are training ourselves to have less focus. In the current shift to a knowledge worker economy, where we do most of the work with our brains, we must protect those brains. Deep work is essential and so is the ability and environment to perform it. We talk about the workplace, open space working, email culture and personal hacks to overcome email fatigue, which accounts for half of our workdays every day. We talk about leadership understanding the outputs of knowledge work and telecommuting and what it means to the workplace and leadership.